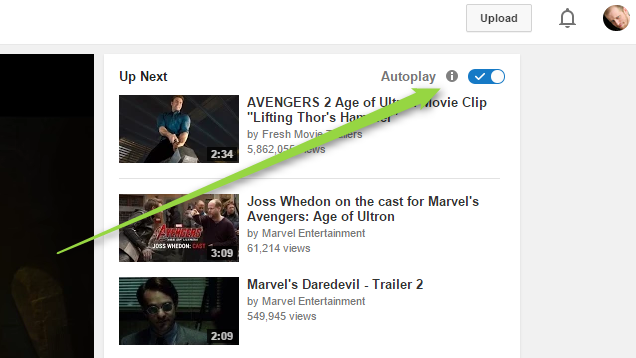 YouTube has quietly been rolling out a new feature that will automatically play the next suggested video when the current one you're watching is done. Here's how to disable it. At the very top of the suggested videos (which may be next to your video or just below it, depending on the size of your player), there's a blue button that says Autoplay. This button is in the same space that YouTube's ads usually go, so you might already be trained to ignore it. Simply click this button and videos should stop autoplaying.